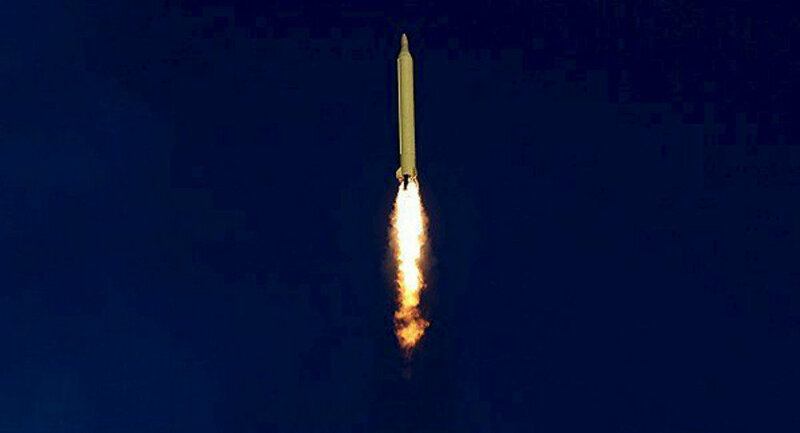 Iran reportedly launched two short-ranged ballistic missiles over the weekend from Islamic Revolutionary Guard Corps bases in Bandar-e-Jask. WASHINGTON (Sputnik) — One of the two missiles on Sunday successfully destroyed a floating barge nearly 150 miles away in the Gulf of Oman, Fox News reported citing two US officials familiar with the issue. The report noted the US officials expressed concerns over the test because they were conducted in the area where the US Navy operates its warships. The information about the Iranian missile test came after reports about North Korea firing four missiles on Sunday as well. After the inauguration of US President Donald Trump, Washington-Tehran tensions escalated amid Iran's ballistic missile test and the new US sanctions against Iran. Moreover, Trump has repeatedly criticized the Iran nuclear agreement, saying that it is a "bad deal" and "disastrous for Israel."